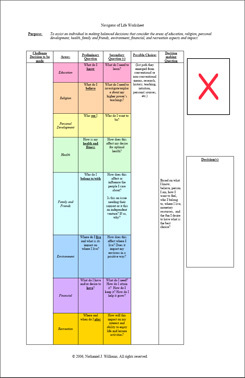 View the Navigator of Life Model pdf here. The model consists of three phases: Dock, Chart Course, and Home Coming. In our application, when our children face decisions and/or crises, they must Dock, Chart Courses and have a Home Coming. 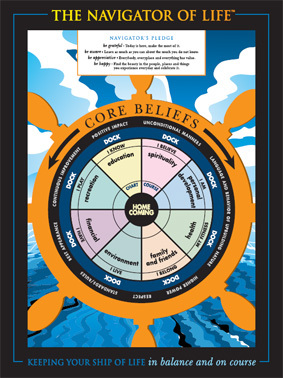 In the Dock phase they need to remind themselves of our agency Core Beliefs. After our children have resolutely determined to act only within the parameters of these good values can they move to the Chart Course phase. Here they must ask themselves a series of questions relative to the eight vital areas of their lives. What our children's Education and Spiritual Upbringing, etc. have taught them, will provide them the resources to successfully navigate their way around whatever obstacles they face. Finally, our children proceed to the Home Coming phase. Contemplation without application is like knowing you are ill and considering the need for medication, without ever taking the curative pill. It is at this juncture they decide on the course of action they believe will best negotiate the twists and turns of their current dilemma. We strongly encourage the children in our care to use this model and to process their issues and make decisions. All the programs at ChildFirst use this values based model to help children deal with the issues they face everyday. Here are two forms that are useful for future planning. 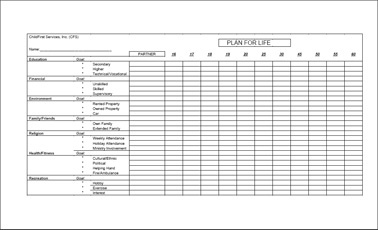 View the Plan For Life pdf here. 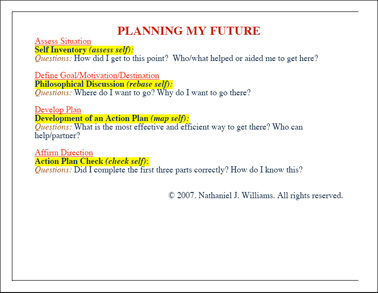 To view or print copies of our Navigator of Life model you must have Acrobat Reader. If you do not have Adobe Reader software, the link below will allow you to download the free software from Adobe's Official Web Site.